July 28, 2014 - Four IDF soldiers were killed, while at least six other people were wounded, some seriously and criticially, by mortar fire on Eshkol near the Gaza border early Monday evening. Because this was a mortar and not a rocket, there was no Code Red siren. The four soldiers who were killed in the mortar hit in Eshkol are: Staff Sgt. Eliav Eliyahu Haim Kahlon, 22, from Safed, Corporal Maeidan Maymon Biton, 20, from Netivot, Corporal Niran Cohen, 20, from Tiberius and Staff Sgt. Adi Briga, 23, from Beit Shikma. A fifth soldier, Sgt. 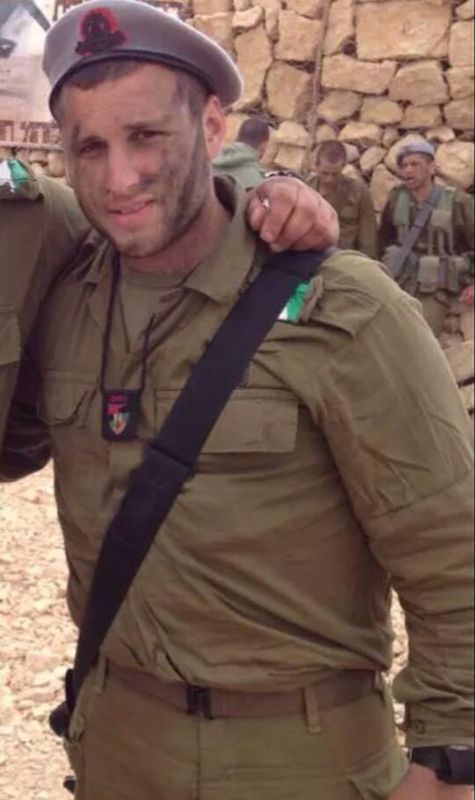 Moshe Davino, 20-years-old from Jerusalem, was killed in the afternoon hours in Gaza. He was posthumously promoted to Staff Sergeant. The wounded were taken to Soroka Medical Center in Be'er Sheba and to the Sheba Medical Center in Tel HaShomer.